I was at Toys R Us today picking up my 25 cent Crayola crayons today and picked up another great deal. They have a coupon on their page here for $2 off any 3 kids body wash, shampoo, or soap. They have the store brand of body wash and shampoo on clearance for 98 cents (you can view them online here and here). And the coupon works on these. In the store today, I did 2 transactions and got 3 bottles of shampoo and 3 bottles of body wash for $1 each transaction! Come back and let us know if you are able to snag a similar deal at your store! 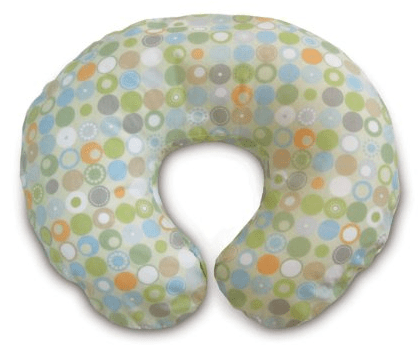 Right now you can grab a highly rated Boppy Pillow with Slipcover, Lots O Dots for just $26.78! That is 33% off the list price of $39.99 and a new low price on Amazon. This pillow is very versatile and can be used for breastfeeding, bottle feeding, propping, and tummy time. You really get your money’s worth! I used it every single day for many months. I love my boppy pillow! Prices change quickly so if you’re interested in a Boppy Pillow, head to Amazon and get it while you can. NY&C is the place to shop if you are in need of new jeans or chinos! Right now, when you purchase one pair, you can get a second for 75% off of retail! I found some for $49.95, which meant I got 2 pair for $75 shipped — or $37.50 per each! Visit NY&C to learn more about this great sale! Final cost only $33.98 for 2 value packs – $16.99 each! Please share if you find value packs priced even lower than $30.99 in-store, as that will make for a really *HOT* deal when combined with the $25 off 2 sale! If you’re a fan of Crocs, be sure to head on over to Crocs.com to check out their $19.99 Clearance Event valid today, July 19th only. Choose from over 100 shoes for the whole family (up to a $74.99 value!) like boots, sneakers, clogs and more. Just be sure to enter the promo code CROCS19 at checkout (valid thru 7/19 at 11:59PM EDT only!). Also note that shipping is a flat-rate of $4.99. *Go through ShopAtHome.com to score 6% cash back or Ebates.com for 5% cash back!